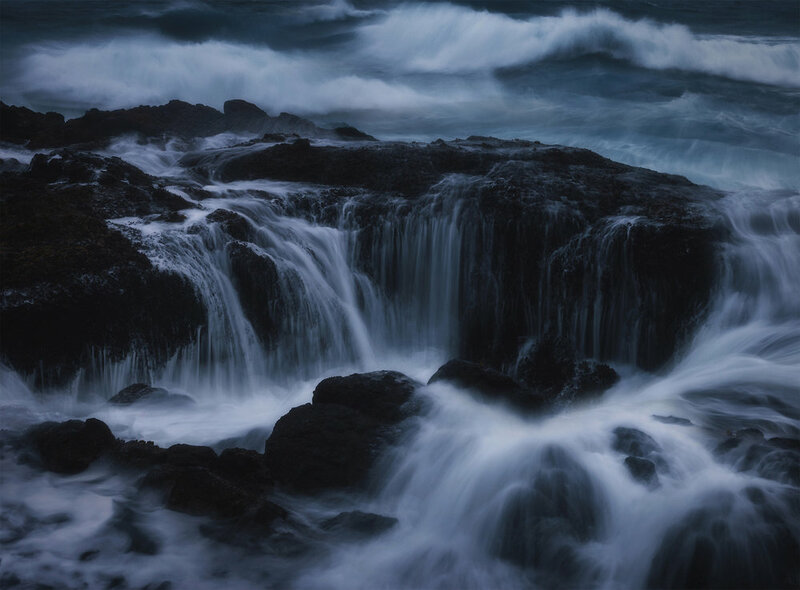 Led by Garret Weintrob, the focus of this workshop will be on capturing the beautiful landscapes and seascapes that the Oregon Coast has to offer. Traveling north to south, we will begin the trip at Ecola State Park and work our way down to Bandon Beach, spending the night at various campgrounds along the way. Much of what we shoot will be determined by current weather conditions, which can be quite unpredictable along the Oregon Coast. Whether that means getting to enjoy the sunrise, sunset, and stars on a clear day, chasing storms from sunup to sundown, or spending an overcast day editing photos, we will do our best to spend every waking moment doing whatever possible to improve our photography skills and have a fantastic adventure along the coast. This workshop is open to photographers of all ages and skill levels. To sign up for the workshop, please submit an initial deposit of $500 USD via the PayPal button below. The deadline to sign up is Monday, April 29th. The remaining balance of $1,150 USD is due on Monday, May 20th. If you have any questions, please don't hesitate to send me an email at garret@garretweintrob.com and I will get back to you as soon as possible. Disclaimer: This workshop is not designed to be a luxurious vacation. We will be cooking most of our own meals, cleaning our own dishes, and sleeping in tents at campsites that may or may not have showers. My goal as trip leader is not to provide a relaxing getaway, but to help you be in the right place at the right time as often as possible to get the best shot. That said, the trip is not intended to be physically strenuous - most of our shooting locations will be reached via car, with a few short hikes interspersed here and there. If you have any questions regarding the style of the workshop, feel free to send me an email at garret@garretweintrob.com. What to pack: You are responsible for bringing your own camera gear, clothes, toiletries, and any other personal necessities. Food and water, cooking utensils, tents*, sleeping bags*, sleeping pads,* first aid materials, transportation, and accommodations from Monday night through Saturday night will be provided. A more detailed packing list will be sent out upon registration. Garret Weintrob is a 19 year old landscape and sports photographer from Washington, DC. He began working professionally 5 years ago when he created Chairlift Productions, a video production company that focused on creating promotional films for small businesses and young athletes. He has since expanded his creative scope and developed a strong still photography repertoire, having spent much of the last few years traveling around the western portion of the United States. After spending a year at college in Connecticut, he decided to take a leave of absence from school and is currently traveling all around North America, leading workshops and continuing to expand his photography and filmmaking portfolio. Garret has a Wilderness First Aid certification. His work has been featured on Canon and Outside Magazine’s websites.